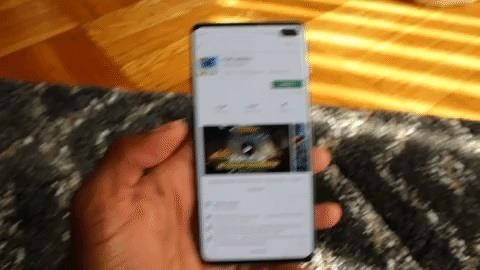 While there is a way to accomplish this in Settings, that method gets rid of the buttons altogether and replaces them with Samsung's gestures (which are different from stock Android gestures). But with the approach we'll outline below, you get to keep the navigation buttons and simply hide them away when they're not needed. This method requires the use of ADB commands. If you're already familiar with ADB and have your computer set up to send ADB Commands, skip ahead to the next step. However, for those who have never used ADB or don't even know what ADB is, we have detailed guide which breaks down what the feature is and how to set up your phone and computer to use it. And to minimize any worry, this is not rooting. You will not sacrifice your warranty by performing these commands, and the risk of damaging your phone is virtually nonexistent. After installing ADB, you'll need to open a command prompt on your computer. If you're on Windows, press the Windows button on your keyboard, type "cmd," then hit enter. If you're on Mac or Linux, open "Terminal" from your applications folder. But if you'd like more help with this part or if you're unsure about the location of your platform-tools folder, don't worry. Just head to the link below for a complete walkthrough on getting the ADB command prompt open in the right directory. Once you send the command, the navigation bar will immediately hide. To use the navigation buttons, swipe up from the bottom edge of your display to reveal the navigation bar. The buttons will remain idle for three seconds before disappearing again. This method replicates the "Show and hide button" from Samsung Experience 8.5 (running on Android Nougat), which provided a small dot in the navigation bar to auto-hide the navigation buttons (although undoing the action was much easier).